Métaphores mortes is a series of porcelain sculptures that were fired at a very high temperature. 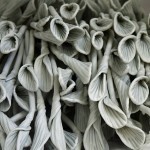 Before firing, fragile hand-built porcelain flowers were delicately planted straight in a porcelain container. 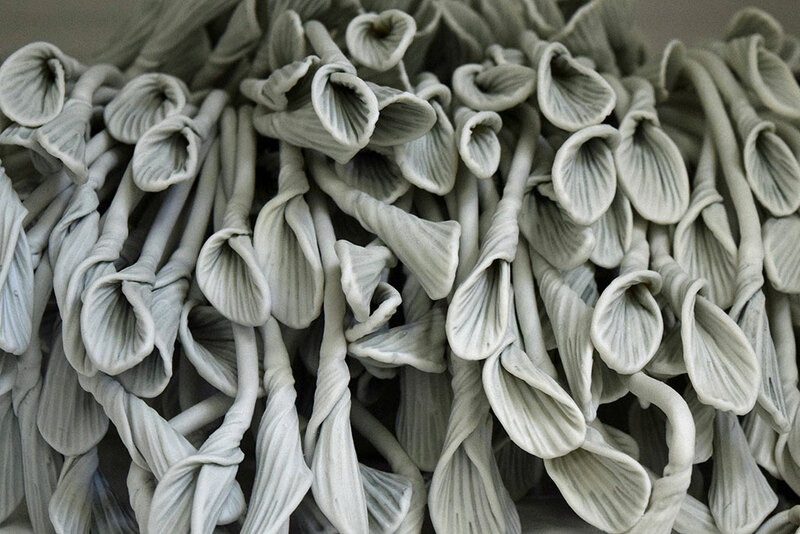 When the kiln reached a very high temperature, porcelain started to soften and bend under the weight of the flowers attached to the porcelain stems, creating a more organic composition that evokes a lifeless plant fixed in time.